By now, most of us have heard about the shenanigans of Big Banks around foreclosures–robo-signing, sloppy record-keeping, fradulent foreclosures of all kinds. Federal regulators, 4 years into this, appear to have finally woken up. This week, regulators required 14 mortgage servicers to mail out 4.3 million letters to possible victims of wrongful foreclosure practices. It’s about time. These letters will invite the borrowers to submit their cases for a free review by independent consultants that are funded by the lenders but vetted by regulators. In other words, the banks must pay for the reviews and the salaries of the reviewers, but all are under the scrutiny of the regulators. If it is determined that borrowers were harmed financially by negligent or fraudulent foreclosure proceedings, then banks must compensate the borrowers. The regulators under the Comptroller of the Currency have apparently determined that wrongdoing did take place. That’s why these letters are going out. These regulations are also enforced by the Federal Reserve which, as you may remember, coughed up the TARP payments to these same Big Banks, BofA, Chase, Citi and Wells Fargo as well as a host of smaller banks. What Are Some Tricky Bank Practices? Banks have seemingly engaged in many activities ranging from merely negligent to downright nefarious in order to foreclose on non-paying borrowers or, even in some cases, on people who actually were paying or who even owned their homes outright. That’s right. The massive money and power of these Big Banks allowed them to foreclose on people who had no mortgages at all in a few isolated cases. Most of these misdeeds have come to light in the so-called judicial states where each foreclosure must go before a judge and where borrowers can contest the action if they so choose. 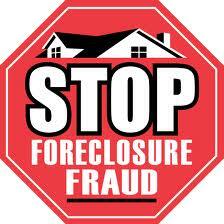 California, by the way, is a non-judicial state where foreclosure proceedings do not involve the courts or judges. Some judges and attorneys in these judicial states have noticed peculiar signatures, for instance, with the same signatory appearing multiple times on legal documents but clearly in different handwriting. Multiple personality disorder? It appears not–robo-signing was the name of that game. And, it is fraud. This is what some banks were doing when they couldn’t locate the original paperwork. Our system of real estate has demanded that the original paperwork be present to back any claim to foreclose for over 200 years. But, banks had instituted their own electronic system, called MERS, which made it easier to change the ownership of mortgages but more difficult to maintain the paperwork. Solution? Make it up…just do anything to kick those people out of their houses. What Are Regulators Offering As Compensation? Well, that’s the rub, isn’t it? The whole Wall Street fiasco has been marked by absent or weak regulators. Already more than 10 million homes have been foreclosed upon and regulators are just now making any noises about calling the banks to account. So far, the regulators have not established any guidelines for compensating borrowers found to have been fraudulently deprived of their homes, though compensation of some sort is promised. Plus, banks may want to be “held harmless” against further lawsuits if they pay even token compensation. Will the regulators agree to that? Given the terrible track record of these regulators, there is every reason to suspect the real purpose of these letters rather than aiding consumers aims really to calm the situation for the servicers who are now facing massive potential litigation. If it seems paranoid to suspect federal regulators of favoring the banks over consumers, call me guilty because I do suspect that very thing. How Do Borrowers Sign Up? 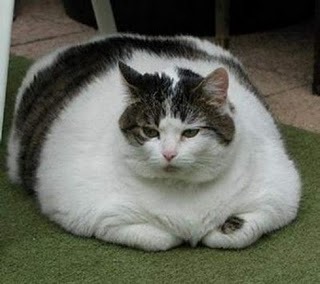 This isus jt a short update. I have just been informed that the Attorneys General of the states who were ready to do a terrible deal with the Big Banks, as mentioned in a previous post, have had a change of heart. 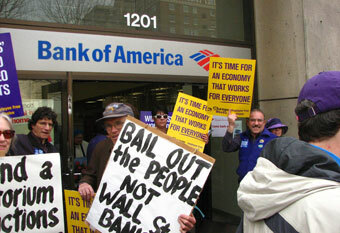 They’ve shelved the give-away to the banks in the face of MASSIVE PROTEST. No, people weren’t demonstrating in front of their meeting room, though that might be a good idea if I had any idea where it was. It was simply an avalanche of protesting emails, letters and phone calls. From what I understand, no new deal has been discussed. Simply, the $20-billion giveaway has been quietly laid to rest. It’s really shocking to me that this deal could’ve progressed so far in the first place. How could these various Attorneys General not realize how angry the populace is over the bad behavior of the Big Banks? How could they possibly think that regular citizens who lost their homes to foreclosure because of the irresponsible lending policies of the Big Banks would think it was fine to allow the banks and their executives to make off with trillions of dollars and then let them off with a mere $20 billion to be shared among 50 states? How could they not realize that people who lost their retirement dreams as their pension funds and 401ks crashed because of the behavior of the Big Banks would not think such a deal was a fine thing? How could they not realize that every single homeowner in America whose home has lost value or whose home is actually underwater puts the blame squarely on the Big Banks? Luckily, Eric Schneiderman, Attorney General of New York, was not asleep at the switch as so many of these others appear to have been. Were there others who noticed? I don’t know, but I would like to think that Kamala Harris, Attorney General of California, took an active role in putting this terrible deal in the trash bin.